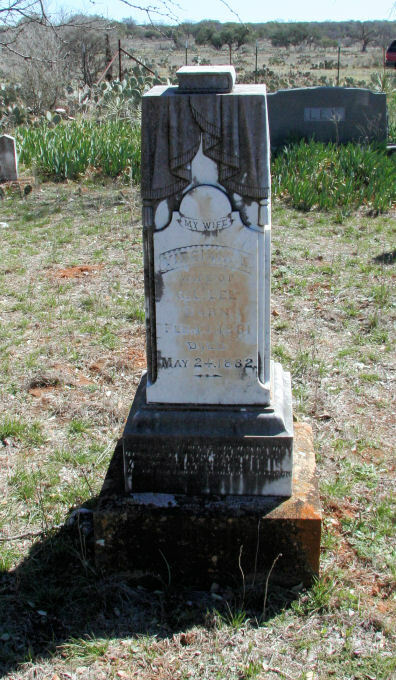 Adams, Infant 18 Apr 1881 18 Apr 1881 Dau. H.L. & M.C. 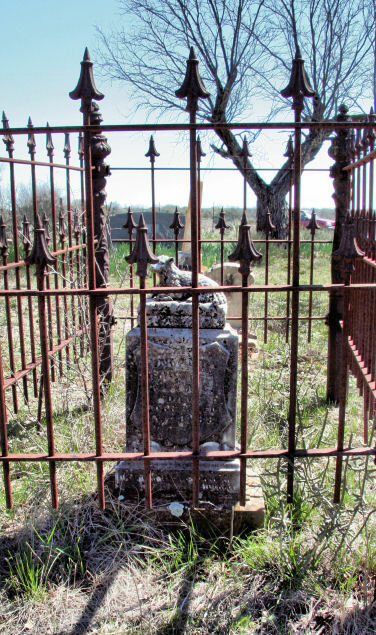 Has iron fence. 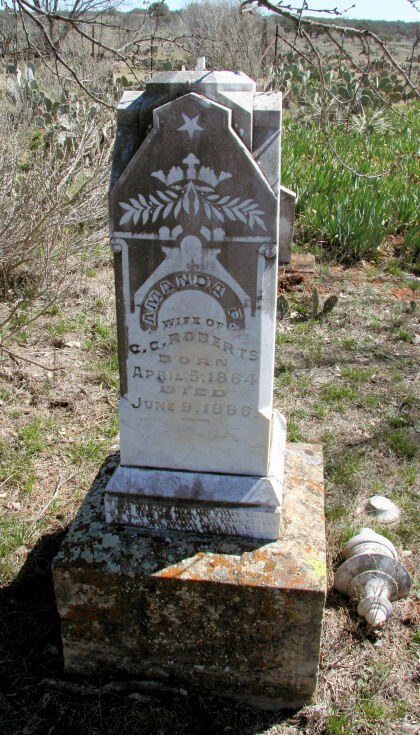 "They died as they lived, brave as Lyons"
Cochran, Infant 14 Jun 1910 23 Jun 1910 Son J.M. & K.A. Crenshaw, James B. 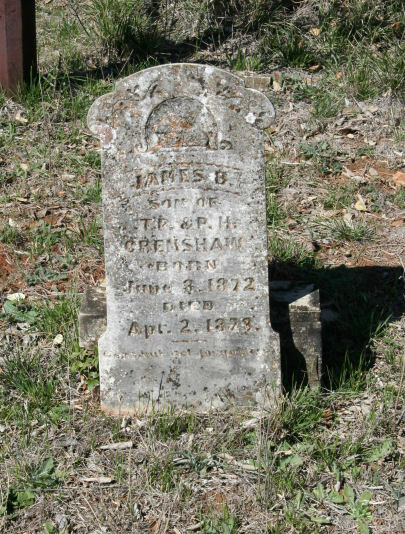 3 Jun 1872 2 Apr 1873 Son T.P. & P.H. 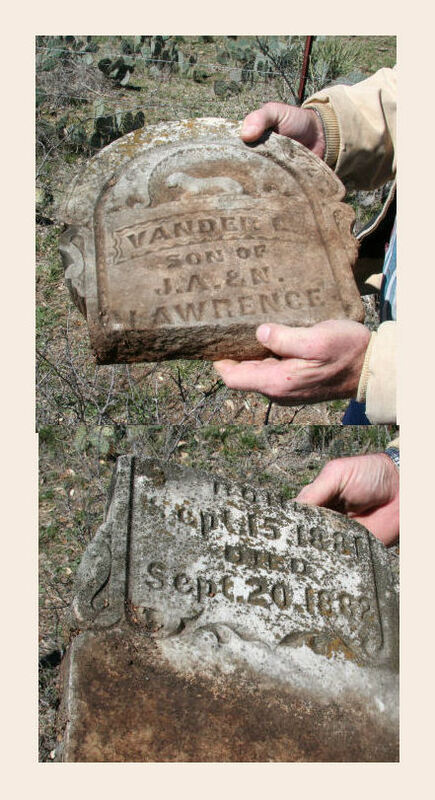 Laurence, Vander L. 15 Sep 1881 20 Sep 1882 Son J.A. 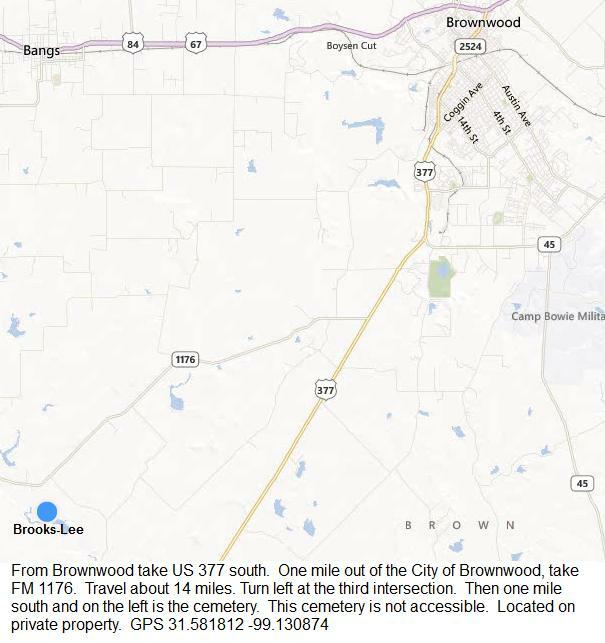 & M.
Lee, Brooks W. 25 Jan 1853 14 May 1892 Masonic Lodge Double marker with wife Keziah. Lee, Harvey A. 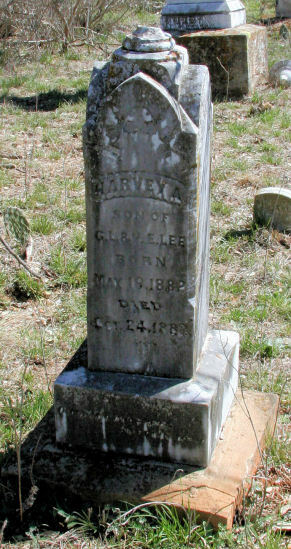 19 May 1882 24 Oct 1882 Son of G.L. & V.E. 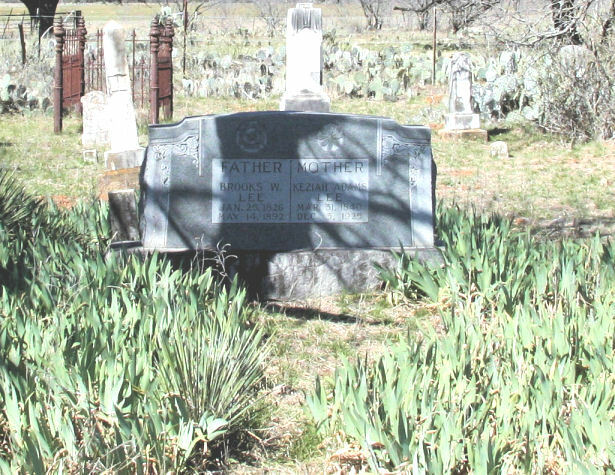 Lee, Rebecca L. 24 Nov 1869 8 Mar 1873 Daughter of B. 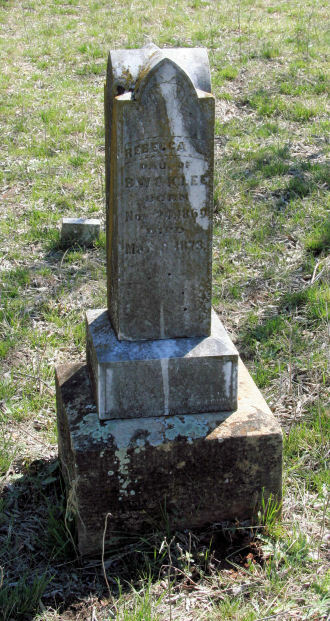 & K.
Lee, Virginia E. 13 Feb 1861 24 May 1882 Wife of G.L. 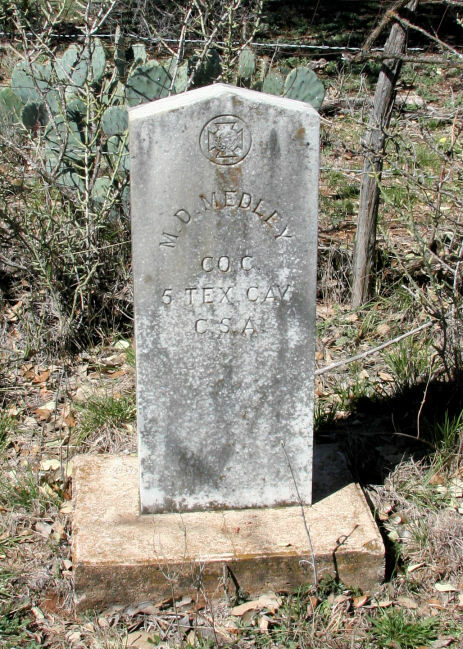 Medley, M. D. no dates no dates Co C 5th Texas Cav. CSA. 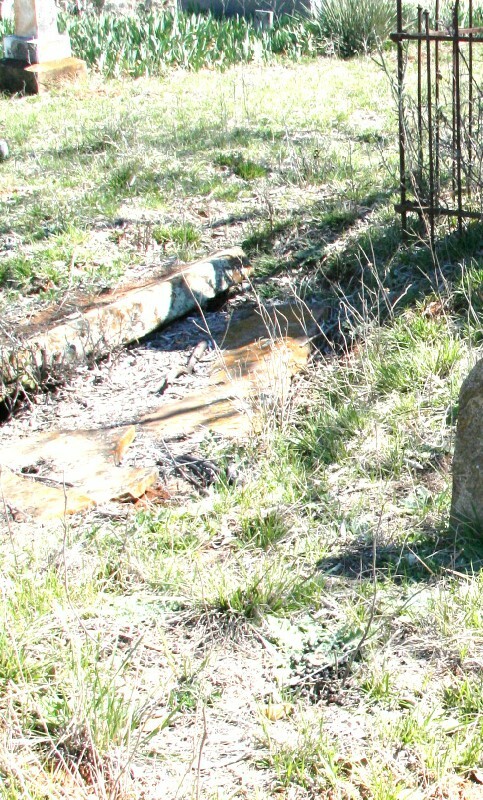 MJM on fieldstone by Medley. MG Medley on civil war registry. Tankersley, James no date 23 Aug 1862 On double marker with James Carmean. 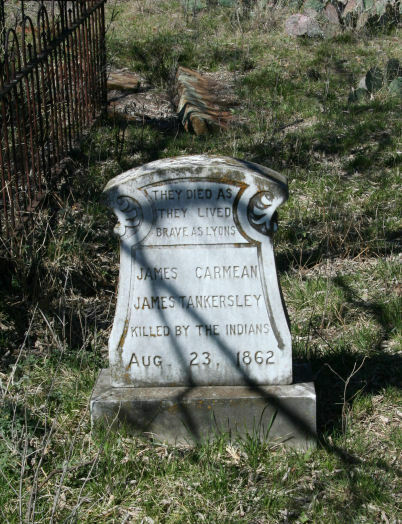 Killed same day by Indians. 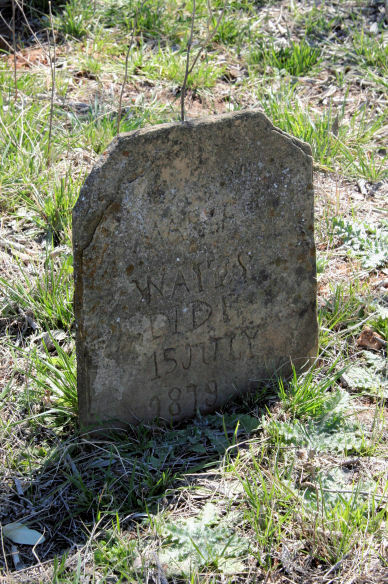 Waits, Martha no date 15 July 1879 Made from field stone. marked only by masses of Iris.